The Yezidis have two sacred books, the Kitab al-Jilwa, the “Book of Revelation,” written by Sheikh Adi, and the Mishefa Reş, the “Black Book,” which is said by scholars to have been written in the 11th-12th centuries but, claim the Yezidis, has existed since [Ta’us] Melek, the Peacock Angel, first set foot upon Earth. The Kitab al-Jilwa describes [Ta’us] Melek and his special relationship with the Yezidis and those who worship him in other faiths. The Mishefa Reş delineates the creation of the universe and the Seven Great Angels, as well as the creation of the Yezidis and the laws they must follow. Please note that these are ancient scriptures and that practices have changed. Many of the outdated customs outlined here are not practiced in the Yezidi communities today. Ta’us Melek, the “Peacock Angel”, is the most import deity of the Yezidis. But he is not just the possession of the Yezidis, he belongs to the entire world. 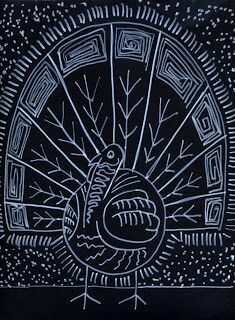 The Yezidis believe that they possess the oldest religion on Earth, the primeval faith that features Ta’us Melek, and that all other traditions are related to them through the Peacock Angel. They contend that Ta’us Melek is the true creator and ruler of the universe, and therefore a part of all religious traditions. He does not, however, always manifest within these diverse traditions as a peacock. Ta’us Melek has taken on many other forms throughout time. 7. PRESENTATION OF OFFERINGS BY THE PRIEST WITH THE OBJECT OF PROPITIATION NAMED. 1. With a complete and sacred offering [Ashi] I offer and I give this meat-offering, and (with it) Haurvatat (who guards the water), and Ameretatat (who guards the plants and the wood), and the flesh of the Kine of blessed gift1, for the propitiation of Ahura Mazda, and of the Bountiful Immortals (all, and) for the propitiation of Sraosha (Obedience) the blessed, endowed with sanctity, who smites with the blow of victory, and who causes the settlements to advance. 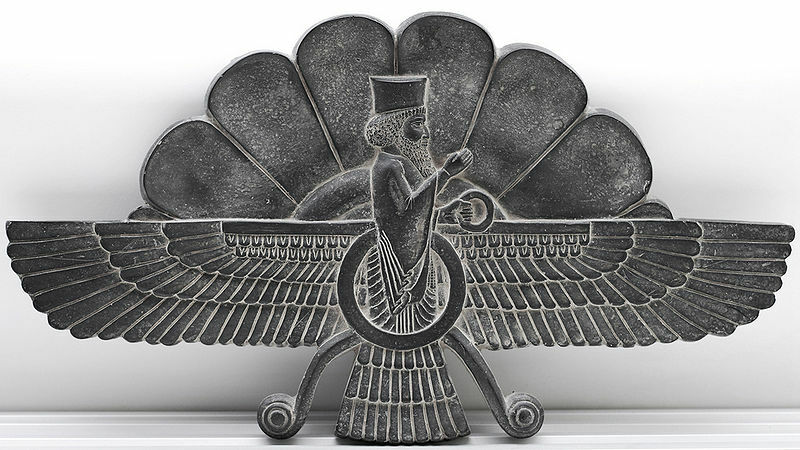 Zoroastrianism was the dominant world religion during the Persian empires (559 BC to 651 AC), and was thus the most powerful world religion at the time of Jesus. It had a major influence on other religions. It is still practiced world-wide, especially in Iran and India. 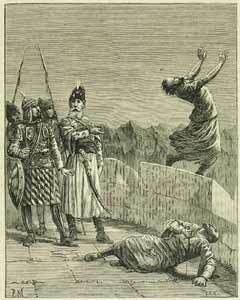 Hasan Sabbah and his unconditionally obedient assassins, the fedayin, the false paradise and great library of fort Alamut, the instant death dealt by the trust of a dagger to important officials by their seemingly obedient assassin servants have been part of a legend woven throughout the centuries. 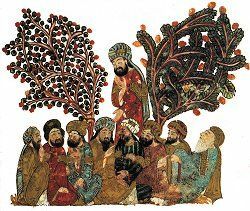 In this short article, rather than give a detailed historical account of this radical Islamic sect that terrorized the Middle East for decades, as there are already a number of competent books and Internet resources that can well fulfill this task. We will suffice with an evaluation of this order that has left its mark on history. Zoroastrianism (also called Mazdaism and Magianism) is an ancient Iranian religion and a religious philosophy. It was once the state religion of the Achaemenid Empire and Sassanid Empire. Estimates of the number of Zoroastrians worldwide varies from between 145,000 to 2.6 million.